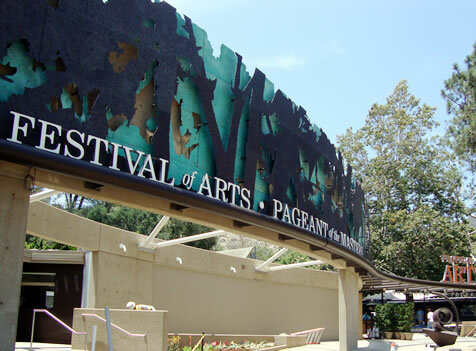 As one of the Festival of Arts primary attractions, and the City of Laguna Beach’s crowning jewel, the Pageant of the Master’s is world-renowned in the artistry and theatrical illusion of living pictures. In additional to the pageant, the City’s Festival of Arts supports various art shows, exhibits and collections, and a wide variety of artists. Bauer Architects, contracted by the City of Laguna Beach to provide the architectural design for upgrades to the Festival of Arts Façade and Grounds, retained Henrikson Owen to provide mechanical, electrical, and plumbing upgrades for this high profile project. The project will be completed in two phases with the first phase involving the façade where Henrikson Owen provided electrical engineering design services, including concepts and design through the identification of how the existing electrical infrastructure can be improved to accommodate the new lighting and power anticipated for the Façade and Entry Upgrades. The new façade was completed and opened to the public on July 3, 2015. The second phase involves upgrading the grounds, including building upgrades of the Gift Shop and 650 building expansion, restroom building, and stage and associates storage building. Henrikson Owen provided the design for step lighting and pathway lighting, area lighting for the art exhibit booths, area lighting for the park, new electrical services for the site, electrical feeds, controls, and panels, and some power locations throughout including for housekeeping and exhibit and food services use, and art exhibit booths. For these buildings, Henrikson Owen provided mechanical, electrical, and plumbing design for extending an existing HVAC system, new heating and ventilation, lighting and convenience power, roof damage, and associated plumbing.